With this new combined storage, you can use your storage how you need to. If your business or school is like most, you know how many important emails and attachments you receive every day. As a result of today’s storage change, Gmail in boxes for Google Apps customers are no longer limited to 25 GB -- any additional storage you purchase can be shared and used by Gmail. Or alternatively, if you’re only using a few gigabytes of email storage, but have a lot of large documents and files stored in Google Drive, you can now use your storage primarily for Drive. We'll also be making updates to the Google Drive storage page, so you can better understand how you're using your storage. 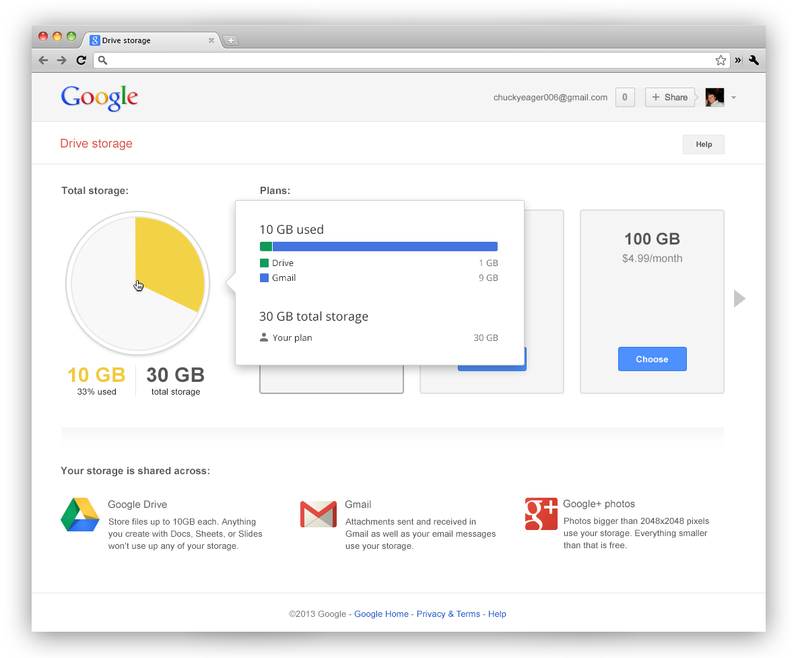 Simply hover over the pie chart to see a breakdown of your storage use across Google Drive, Gmail, and Google+ Photos.